Dimensions: 6” x 60” x 99”. 70 lb. 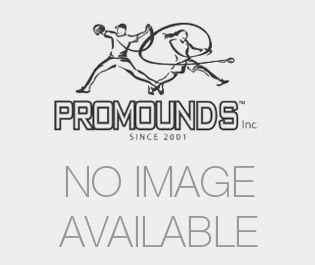 The ProMounds Major League Game mound is perfect for any youth baseball league. It allows you to convert any field into a baseball field in minutes. Throw from the official size rubber and land on the mound. This mound is constructed from lightweight, high density foam, PRAT (ProMounds Rubber Armor Technology), and spike resistant artificial turf. The high density foam creates a durable, lightweight design. The PRAT technology seals the foam and will not scratch gym floors. The spike resistant artificial turf completes the mound giving you a real game feel. Comes with clay turf. Dimensions: 8'3"L x 5'W x 6"H. Weight: 70 lbs. • Convert any field into a baseball field in minutes. • Throw from the rubber and land on the mound. • Constructed from high density foam, PRAT (ProMounds Rubber Armor Technology) and spike resistant artificial turf. • Durable, lightweight and portable. • Can be used indoors or outdoors, for practices or games. • Official Little League mound specifications. • Available in clay or green. • Not designed for use with metal cleats. • Dimensions: 6”H x 5’W x 8’3”L.